Enter the Dragon – the MSI GT70 Dragon Edition 2 Extreme, to be exact. MSI introduced its top-of-the-line gaming notebook at Computex today. The outer-shell sports a fiery red color scheme, and the laptop’s cut, beveled edges and modernized looking architecture definitely catch the eye. Jumping onto the Haswell bandwagon, the GT70 uses Intel’s 4th-gen Core i7 processor. The chip is overclocked to 4.1Ghz (by the company, no need to do it yourself), and MSI managed to keep the voltage requirements low and stabilized, even with the amped-up processing power. No need to worry about overheating problems either, as MSI added Cooler Boost 2 technology to keep the chip from getting too toasty. This is a configurable machine, so you’ll have access to a variety of different video card and memory options. The Nvidia GTX 780M is one example of the graphical goodness you can choose from. This card is discrete in design and features 4GB of GDDR5 video memory. For increased performance, you’ll have access to three SSDs set in a RAID 0 configuration. All of this is topped off with a built-in headphone amplifier, a 17.3-inch screen-size, and a Steel Series keyboard. The screen runs a Full HD display with a max resolution of 1920 x 1080 and features anti-glare technology. The notebook also supports what MSI calls “Exclusive Matrix Display for Multiple Devices.” This notebook includes a MiniDisplay Port 1.2 and an HDMI 1.4 port, both of which allow for connection of the latest 4K and 2K Ultra HD displays. 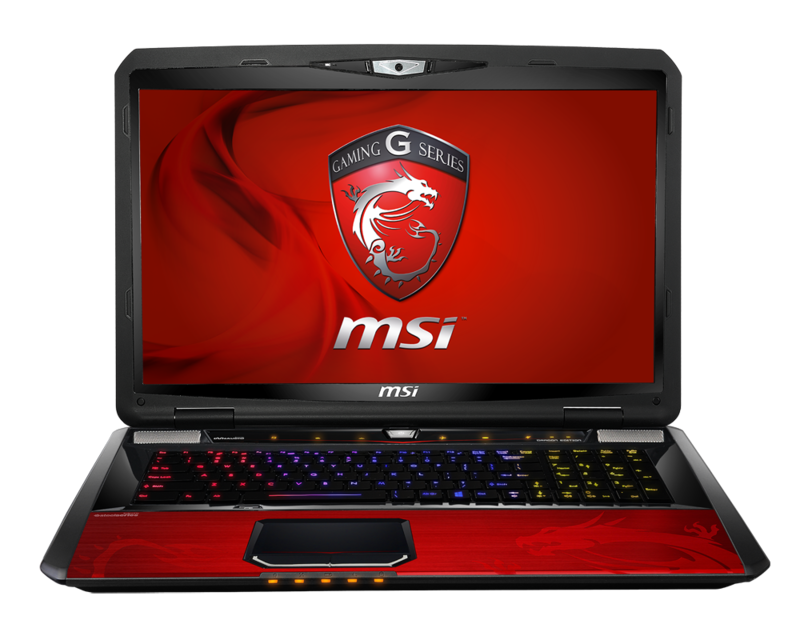 The MSI GT70 Dragon Edition 2 Extreme is currently available in limited quantities worldwide, starting at $1,500. Have your wallet ready though, this price point can skyrocket to $3,000 depending on what features and internal hardware you choose.